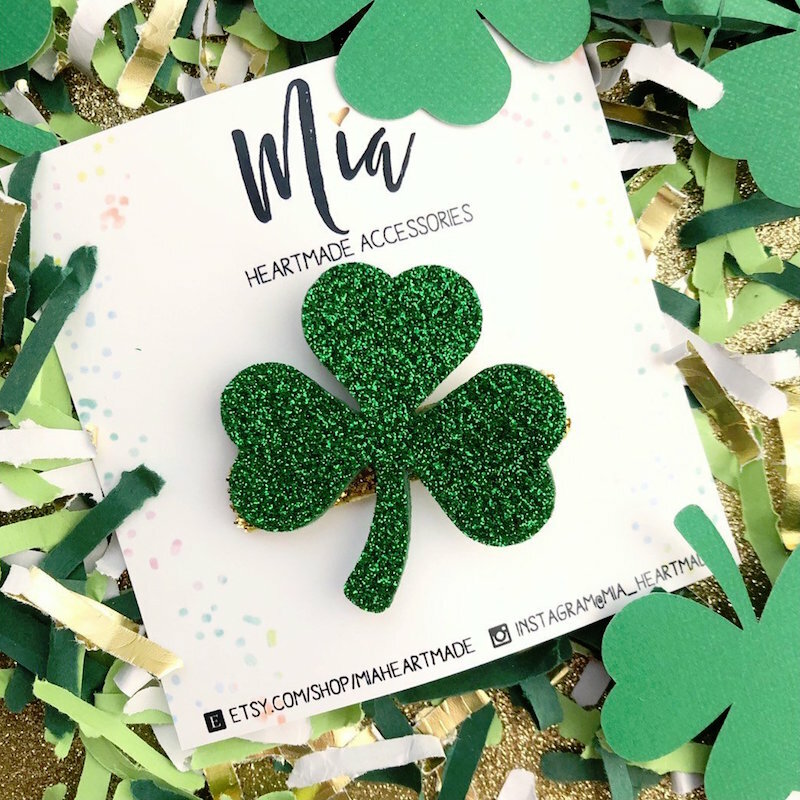 When it comes to St. Patrick’s Day, Kasia of MiaHeartmade on Etsy creates extra pretty hair accessories that stand out. 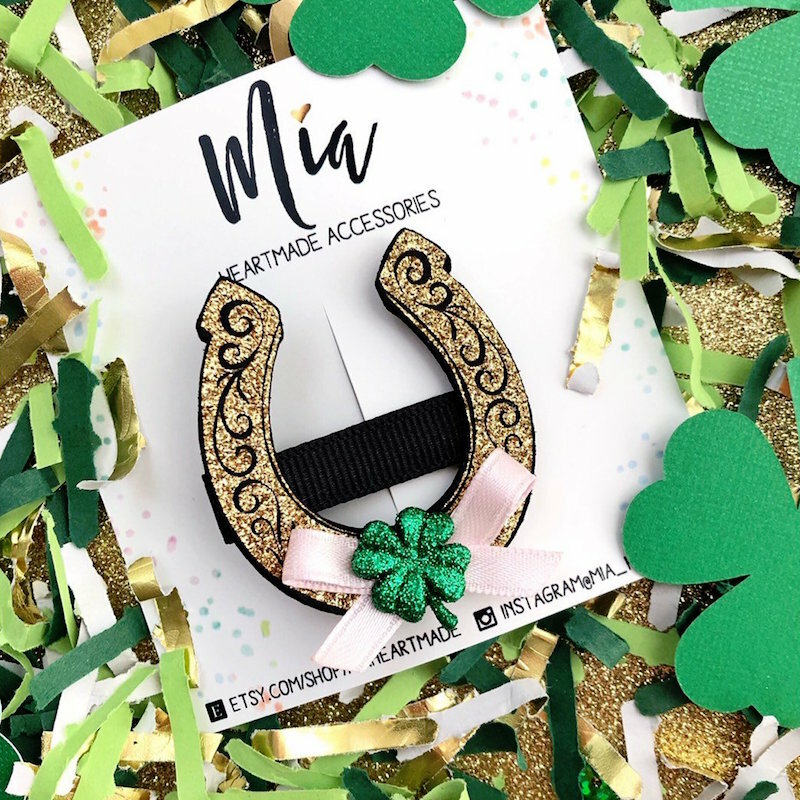 There’s the sparkliest Shamrock hair clips, a glittery big bow headband and even a lucky horseshoe hair clip. 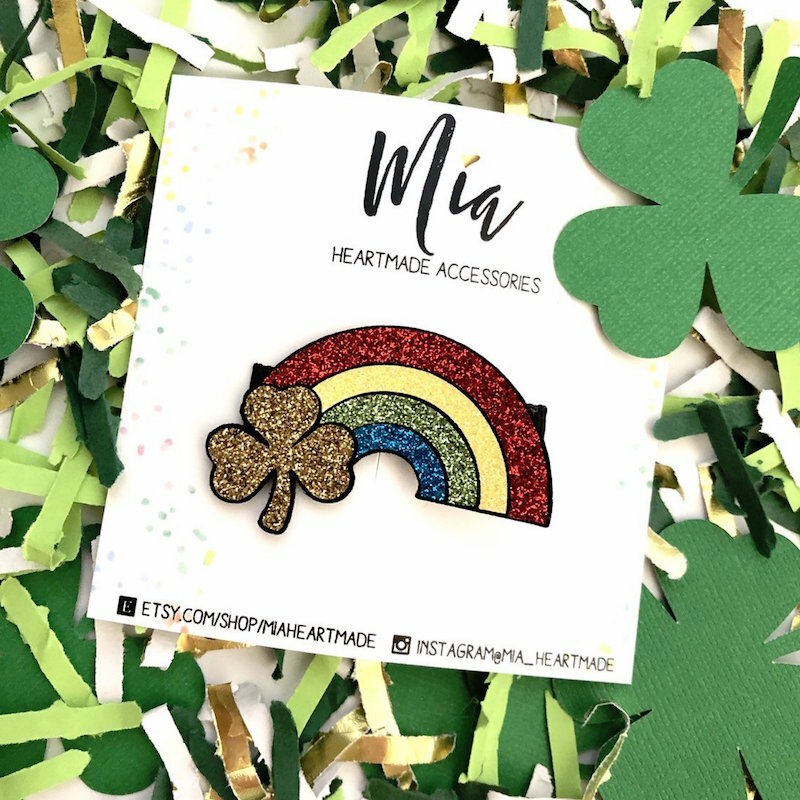 If you’re an Etsy artist looking to take your product photography to another level, take a peek at these photos from MiaHeartmade. 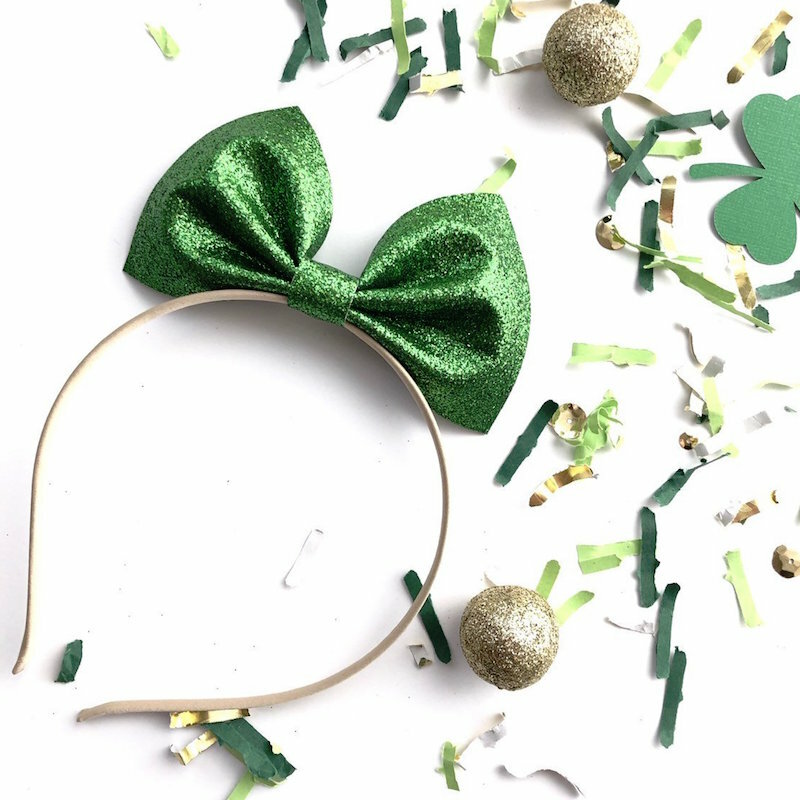 She styled her St. Patrick’s Day hair accessories with my Festive Fetti. 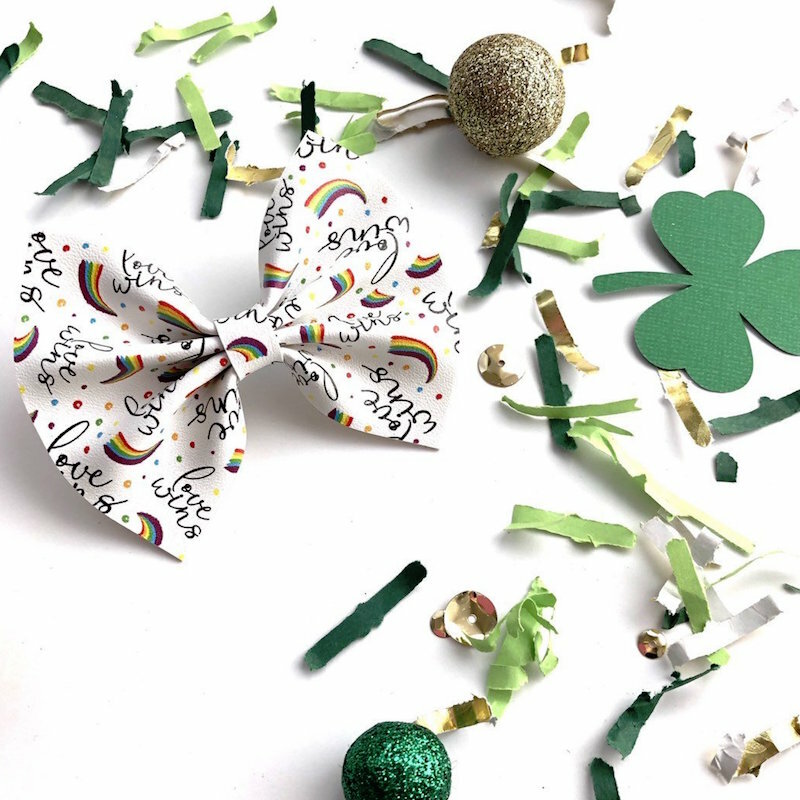 This particular photo series is shown with my St. Patrick’s Day Confetti - available in my party shop here and in my Festive Fetti etsy shop. When styling your products with Festive Fetti, you will always be making your products stand out. 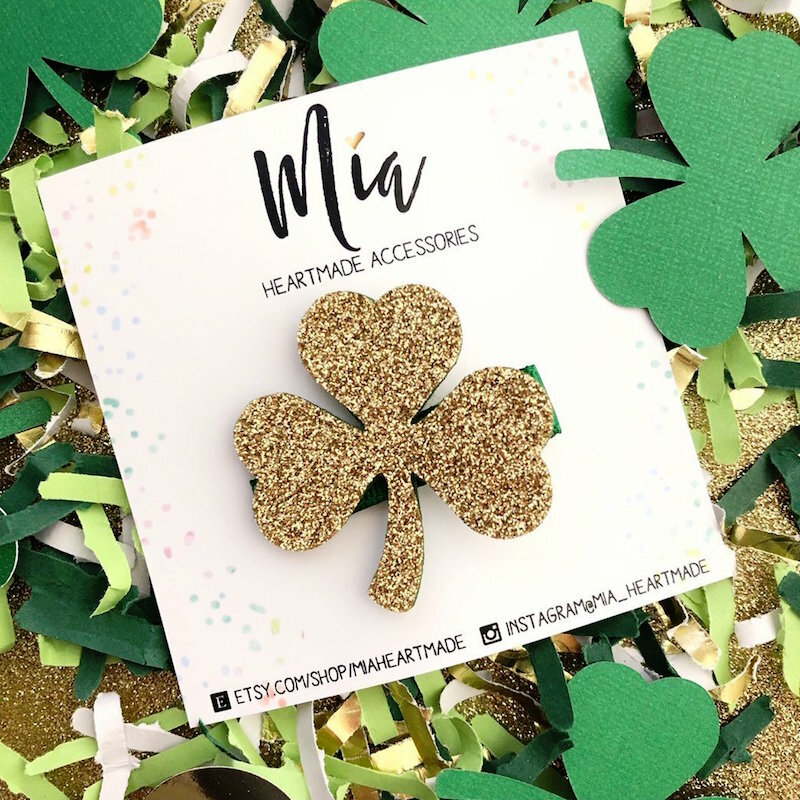 The bonus with the confetti as your photo styling prop is you can easily color match your products but you won’t be taking the viewers eye away from what you are selling. Which is the key because too many props in a photo will confuse the buyer. You want your customer to see exactly what they are purchasing. 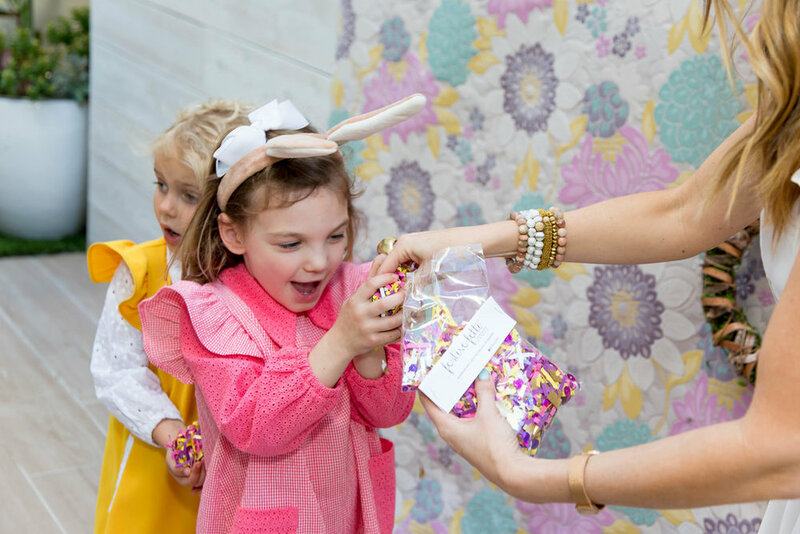 The confetti is an easy way to enhance your own product and showcase the amazing details that you worked so hard on. 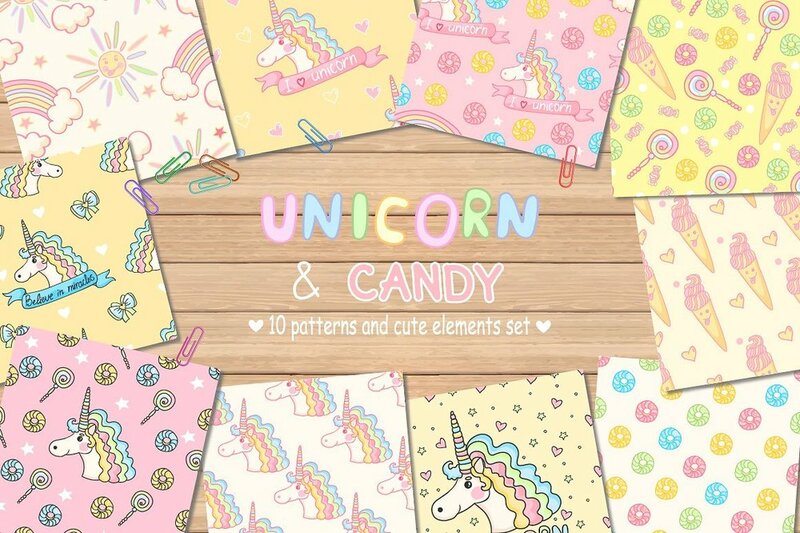 Click here to find the perfect confetti mix for your next product photo styling session. And, if you don’t see the perfect color match - feel free to message me for a custom confetti mix created just for you and your business. Galentine’s Day is all about celebrating the special women in your life. 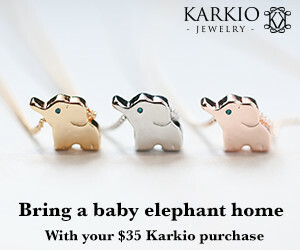 It’s a time to get your girlfriends together and show them how special they are to you. Ariel of The Hostess Helper joins me again with her very special Modern Galentine’s Day Party. 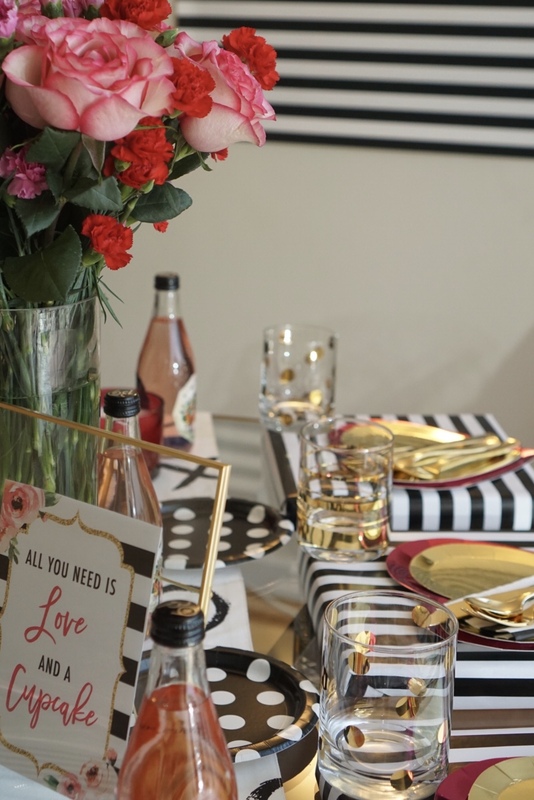 She has great tips to share so you can host a Galentine’s Day party of your own - one that’s fun and features an informal tablescape. 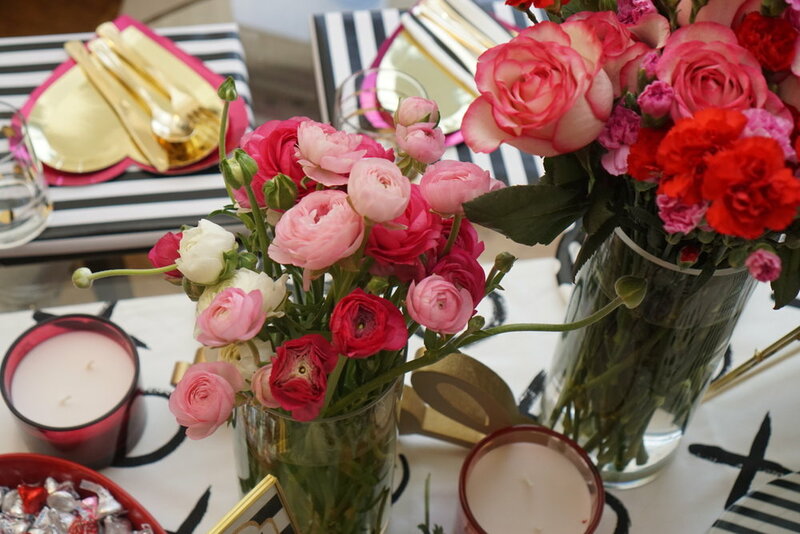 • Use different size vases filled with roses, carnations and ranunculus in shades of pink and red. 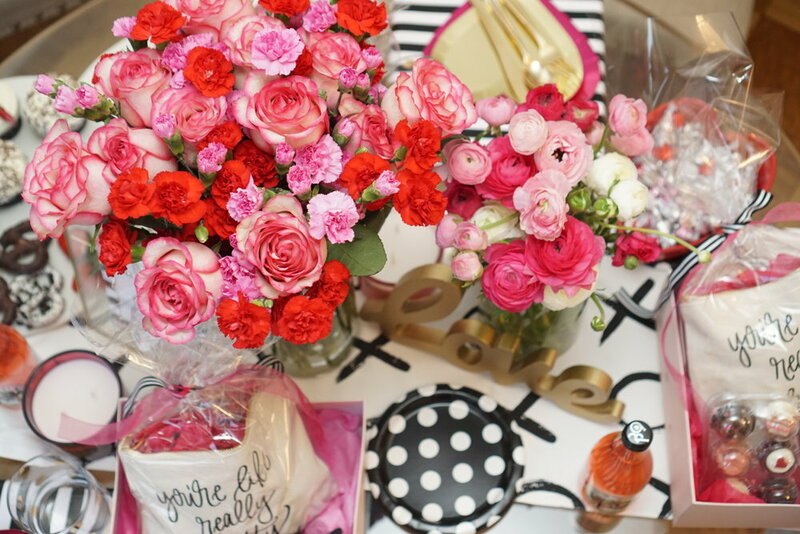 The flowers featured here are from Farm Girl Flowers and they can ship their pretty blooms to you. • Display candles in assorted sizes and colors to match your party. 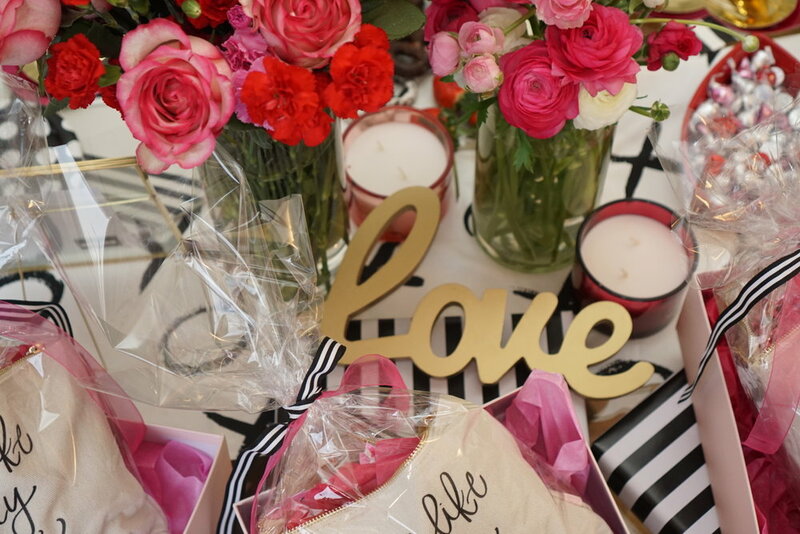 • Kate Spade inspired decor with black and white stripes brings in the modern vibe. • Place printable signs into frames for extra fun decor details on the table. These signs were from Sweet Rain Designs and read “all you need is love and a cupcake” and “she has a way with words, red lipstick, and making an entrance”. • Continue with the black and white decor with your serving platters and a cute x’s and o’s table runner - both from Pier 1. • For food - keep it simple and order take-out for the main portion and then you can focus on making the desserts extra special. • Create a treat board with chocolate covered pretzels from Whole Foods Market, black & white and red velvet cupcakes from Sprinkles, long stem strawberries, Maggie Louise Confections’ lipstick shaped chocolates, Hershey Kisses, and M&Ms. 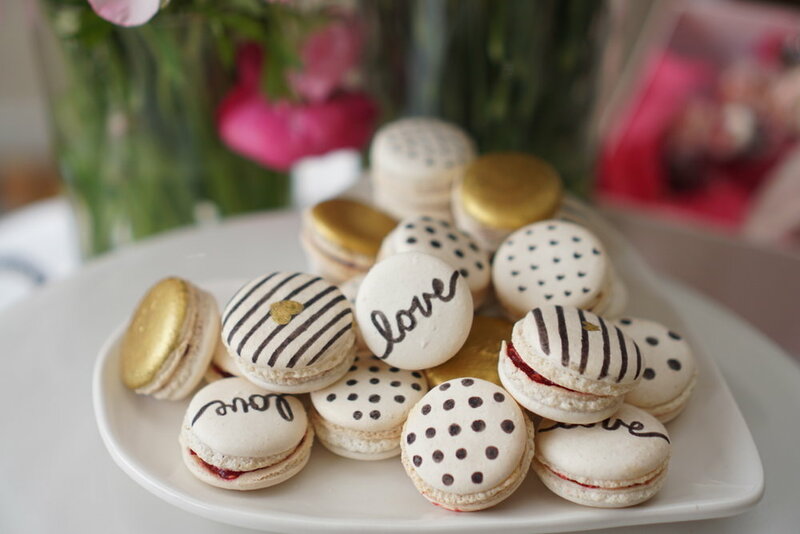 There were even custom macarons from The Sweet Smith that matched the theme. 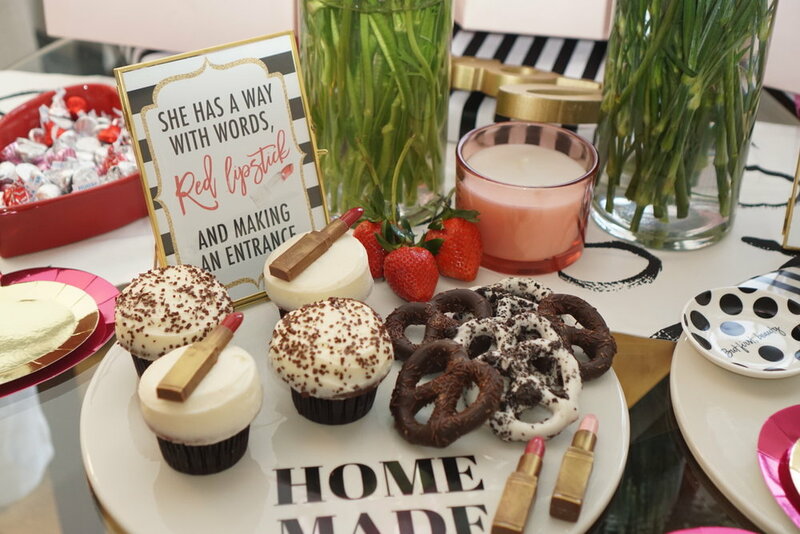 • Using elements that relate to each other will pull the entire party theme together - for instance the Kate Spade quote about lipstick and the Maggie Louise Confections’ chocolate lipsticks. 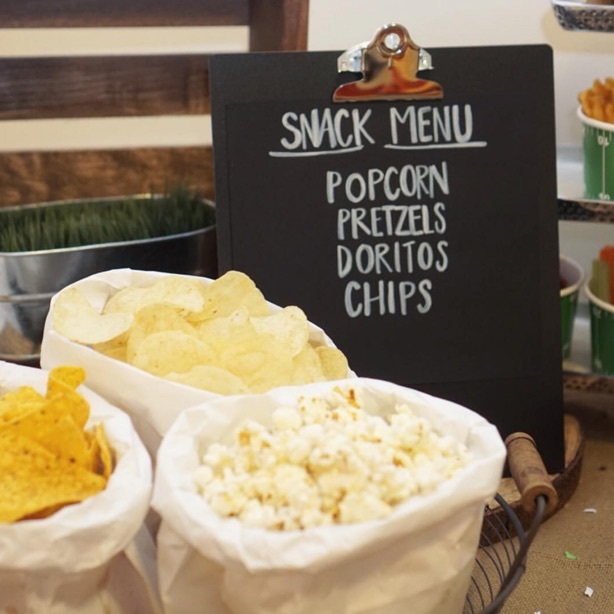 Ariel likes to focus on the small details to make the party feel personalized. And, I absolutely agree - those little details are always noticed by party guests and make it so much more special for them. • Create special gift boxes for your girlfriends to take home with them. Ariel packaged up the goodies inside makeup bags from Sweet Water Decor and tucked inside there were socks from Target, Customized Valentine’s Day chocolate covered pretzels from Fatty Sundays, and Baked By Melissa 6 pack of cupcakes. PS: For purchases from Sweet Water Decor, if you use code “hostess_helper” at checkout, you will receive 25% off your order. 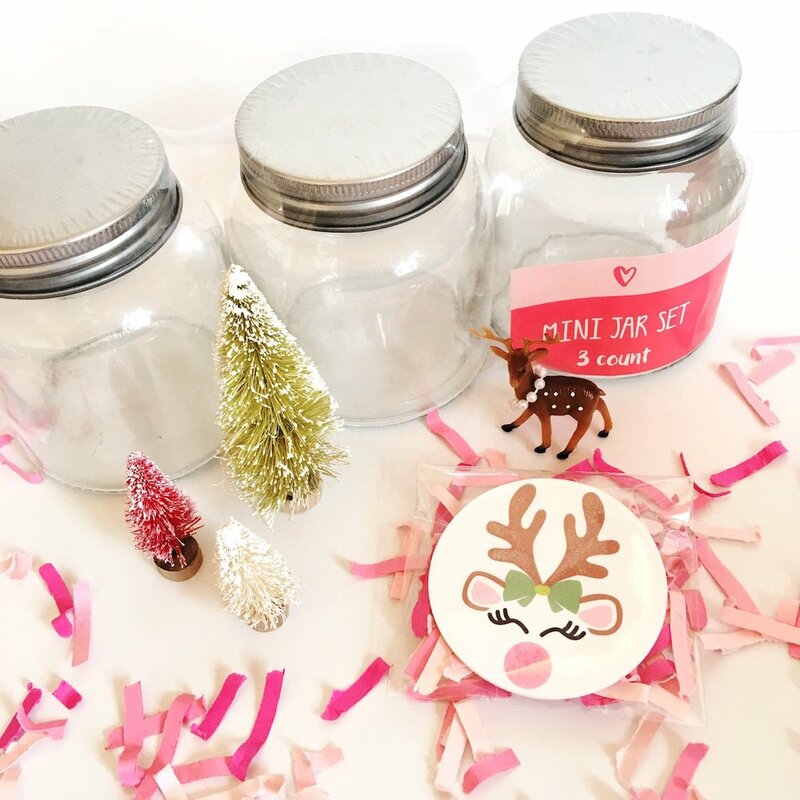 • Ariel wrapped the cover of the cupcake box in black and white wrapping paper and filled the inside of each gift box with pink tissue paper and my very own Festive Fetti confetti. 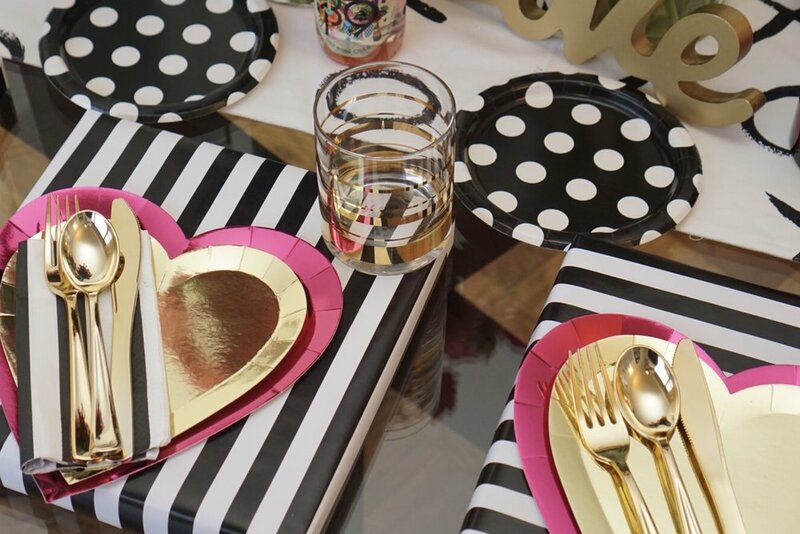 • Have your guests enjoy their party sweets on Meri Meri pink and gold heart shaped plates. • Serve drinks in Kate Spade NY gold striped glasses. Ariel’s best advice for anyone hosting a Galentine’s day party is to have fun with it. I love that she says “it’s okay to get messy with your tablescape design”. 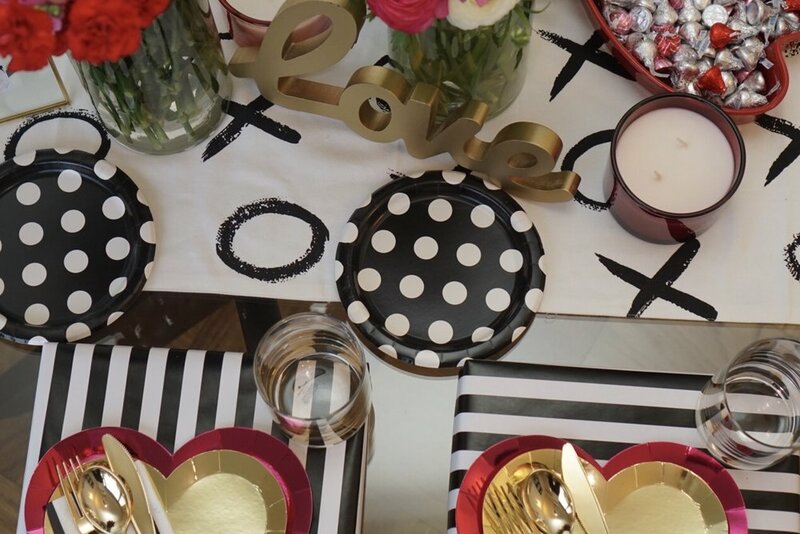 What’s your favorite decor detail from this Galentine’s Day Party? I’d love to know what you ❤️ the most from this modern party table in the comments. PS: Thank you to Ariel of the Hostess Helper for joining me on my party blog. 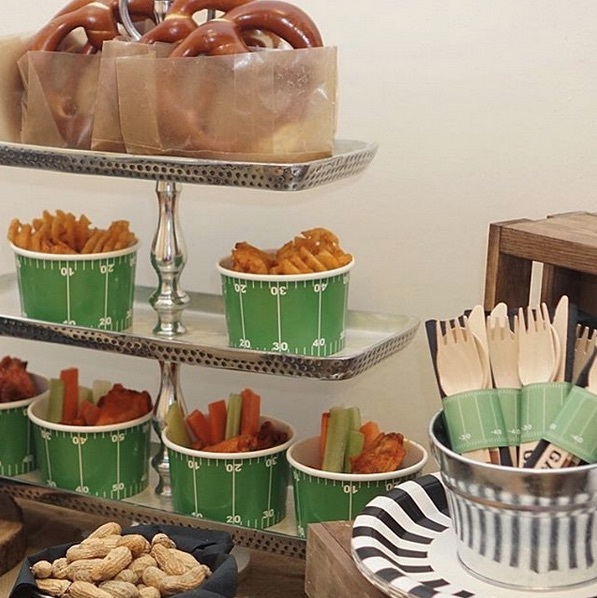 When it comes to football parties, you want to have the food table styled quick and easily so when guests arrive it’s all about . . . “Ready, Set, Eat”. And, this is especially true with Superbowl Parties. Today, I have Ariel of the Hostess Helper in NYC joining me with her top party table styling tips for football parties. Pretzels are a sure winner and guests will love the Cinnamon Sugar Pretzels from Fatty Sundays - along with other must-have snacks including chips and popcorn. 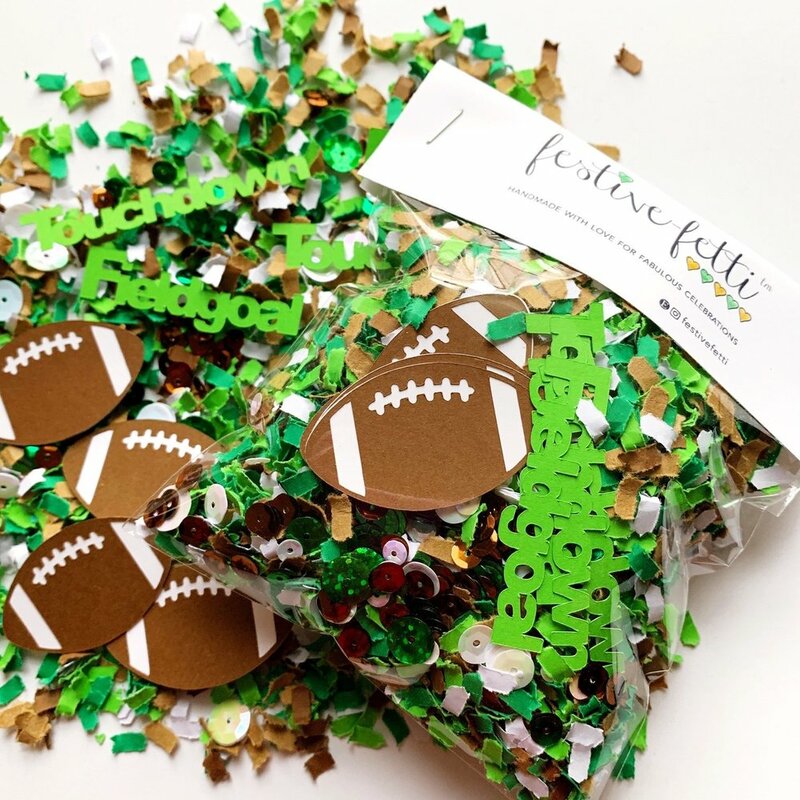 Football themed party supplies will bring the party details together. Including these Yard Line Chili Bowls, Wood Cutlery, and Striped Plates from Party Hat Paper Co.
Add a festive touch to your tablescape with a scattering of Football Confetti from Festive Fetti. 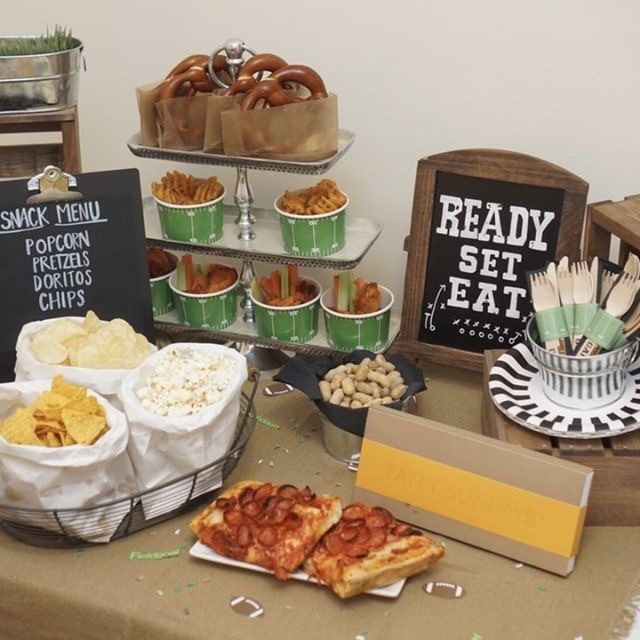 Add to your table decor with a custom “Ready, Set, Eat” chalkboard sign from E Brown Studio. Extra little details include rolling down white paper bags to serve the snacks in. Paper “chili” cups are perfect for serving individual portions of pretty much everything including wings, fries, popcorn, peanuts, and chips. 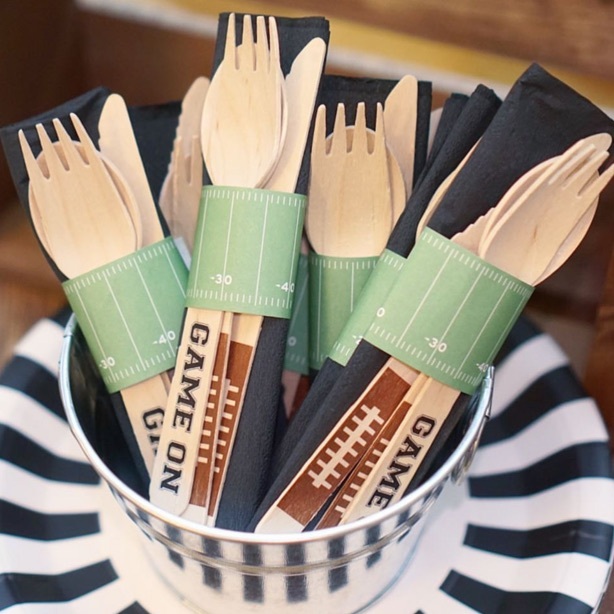 Bundling cutlery and napkins from Eat Drink Host into a set makes it easy for guests to grab and go at the snack bar. What’s your favorite football party table detail? I’d love to know what you 💚 the most from this sporty party table in the comments. PS: Thank you to Ariel of the Hostess Helper for joining me on my blog today. This DIY Halloween Mantle Decor was created in part with Lisa Kettell Designs, Fuji Film and AC Moore. As I’m a proud part of the Hello Lisa design team, I was sent a box filled with crafting goodies and was asked to get a little creative and put together a fun Halloween DIY using the shadow box from AC Moore and fun vintage prints from Fuji Film. My idea was to create a sparkly Spooky Halloween Shadow Box with Paper Hats topped with pom poms. I’m also sharing another fun way to showcase the paper hats around a framed art print at the end of this post so be sure to scroll down to see it. Now, it’s time to gather up these halloween crafting supplies and in less than an hour (minus the drying time of the painted shadow box) you will have the cutest Halloween Mantle Decor to DIY for yourself or a Halloween gift. How to Create the DIY Halloween Mantle Decor . . .
You will want to first paint your shadow box with the black paint. I prefer to use foam brushes for this type of project. I only needed one coat of paint to cover this shadowbox. Then you will want to trim the satin ribbon to fit along the outer edges of the frame and hot glue in place. Then with glue dots or craft glue, you can adhere the sequin iron-on transfer to the back of the shadow box. You can also attach your preferred photo print here too. How to create the paper party hats is continued below . . .
To create the Halloween Paper Party Hats . . . I used a template I found online for the hats and resized to fit onto the 6” square paper. If you’d like a printable template, simple message me and I will create it for you. I made pom poms with the yarn, but if you prefer to save even more time, you can simply purchase pre-made pom poms. Attach to the tops of the hats with hot glue. This step is not necessary, but I have a thing for glitter and confetti, so I added craft glue along the bottom edge of the hats and sprinkled on orange glitter. Now that the hats are finished, you can simply set them into the bottom of the shadowbox and it’s time to display your Halloween Mantle Decor for all to see. Lastly, here’s another super fun way to showcase even more Halloween party hats on your mantle. You can frame extras of your favorite Halloween Fuji Film prints and scatter some party hats around them - either on your mantle or a favorite shelf. It’s October, which means Halloween will be here before you know it. 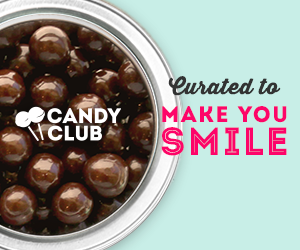 And, we all know kids absolutely LOVE Halloween treats. Whether it’s for a classroom party or a surprise for your kids after Halloween dinner, these Monster Eye Halloween Cupcakes are sure to have kids squealing with joy. Isn’t the novelty eye ring as your cupcake topper just the best idea? Jennifer of Pigskins & Pigtails created these super cute halloween cupcakes with simple ingredients so they are super easy for you to make. Simply make the cupcakes per the cake mix instructions in the cupcake liners. Then add some frosting to the top of the cupcakes and add on the Ghouls Night Out Sprinkles. Add a little more orange frosting and then top with a Novelty Eye Ring. Surprise - you now have a Funfetti Monster looking at you! 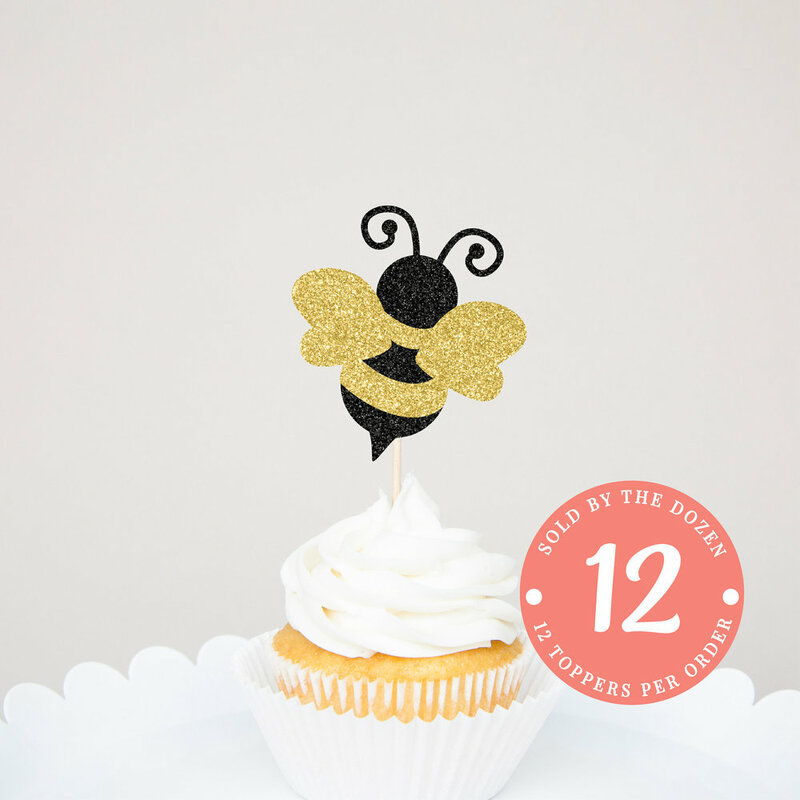 When it comes to baby showers (and even gender reveals) - a Bee Theme Party is a wonderful choice. 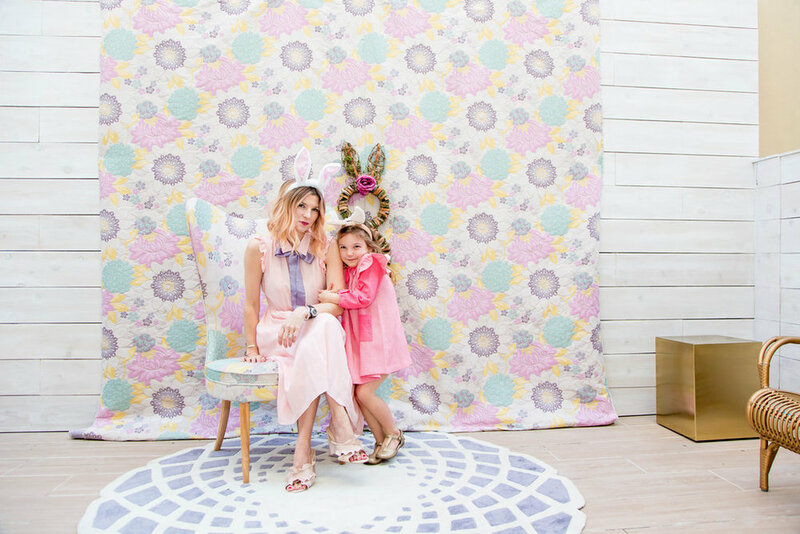 It’s a fun way to celebrate the baby and mommy to be without using the traditional pink and blue colors. Plus, when choosing the bee theme for baby showers - there’s so many fun phrases you can select from, including . 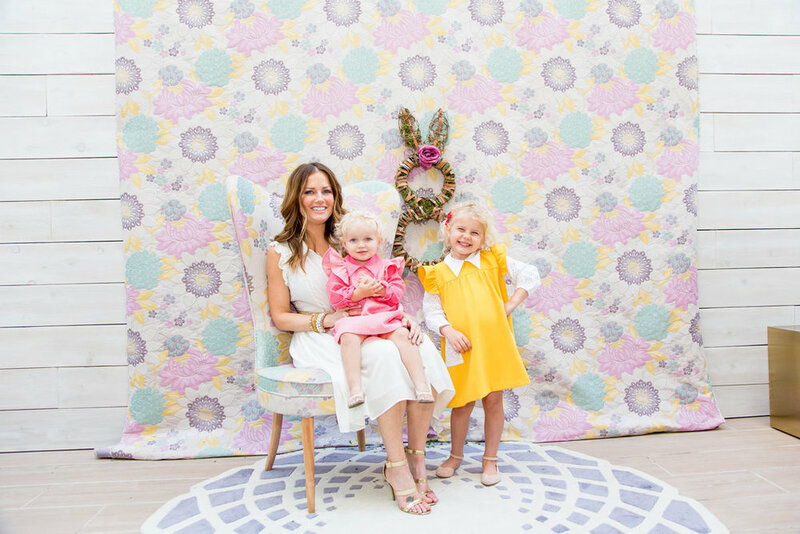 . .
Here’s just a few fun bee theme party ideas I’ve gathered together to help you plan the sweetest bee themed baby shower. 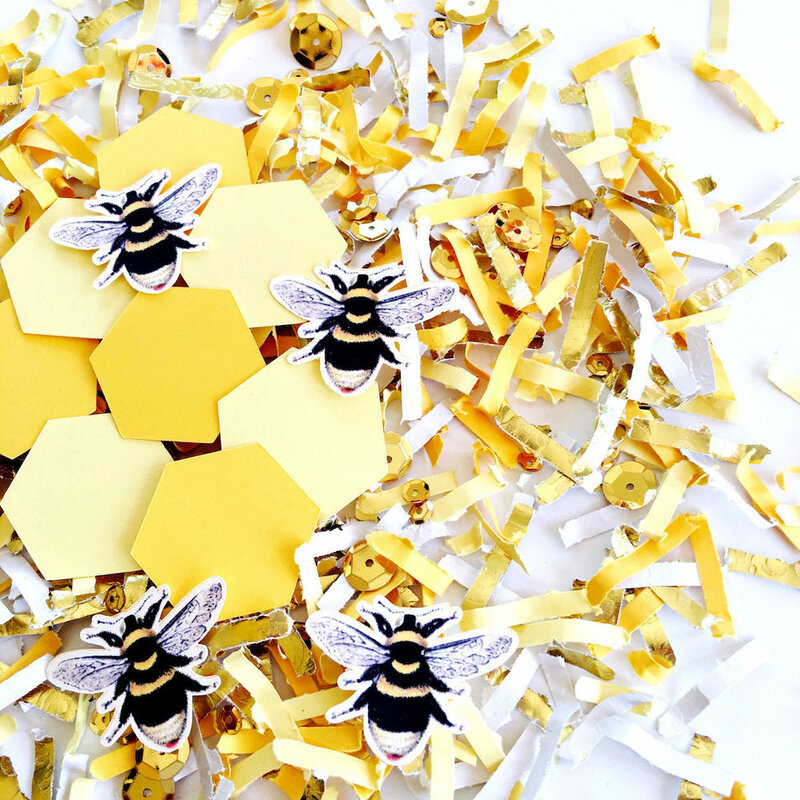 And, of course my very own Mommy to Bee Baby Shower confetti is included - this confetti mix comes complete with 8 hexagon die cuts (honeycombs) and 4 illustrated bee die cuts. 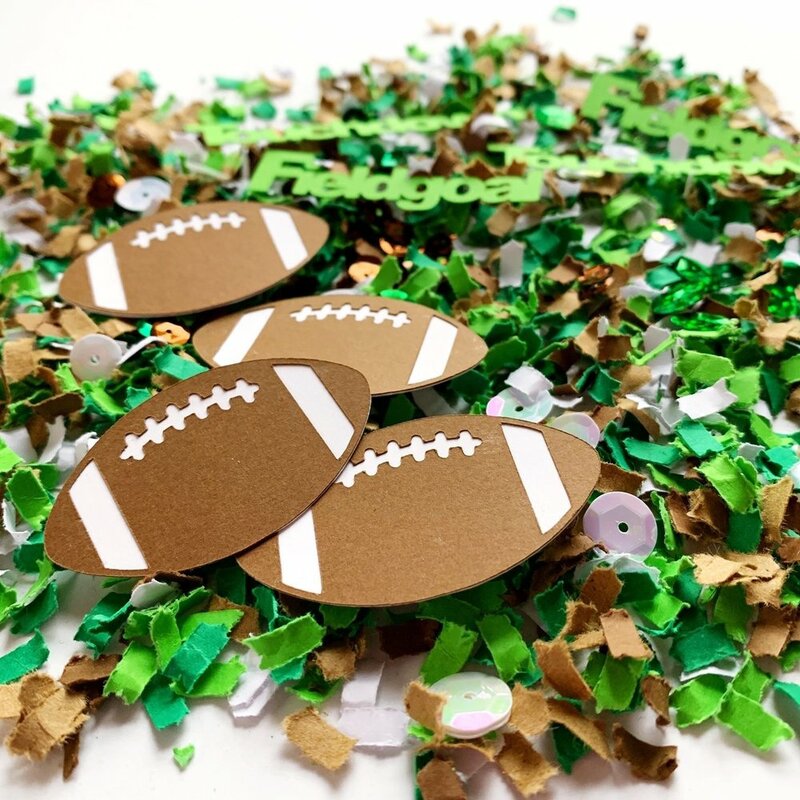 These die cuts not only look great scattered around as table decor with the confetti - but they can be used for DIY toppers on the cake or cupcakes. Or maybe you add them to favor tags with mounting squares for extra dimension. When it comes to bee themed baby shower invitations there’s many choices. And, of course a pretty bee wax seal from Half Pint Design is the best way to seal off the invitation for guests. If choosing the bee theme for a gender reveal - you can have so much fun with stickers, magnets, etc and have guests choose “He” or “She” for “Which Will It Bee?” or “What Will It Bee?” Another option is to surprise your guests with a What Will It Bee Scratch Off Card from Simply Modern Design Co.
For decorations - you can’t forget about a Mom To Bee Banner from Sugar Parties LA and a What Will It Bee Cake Topper in glittery gold along with coordinating bumble bee cupcake toppers. 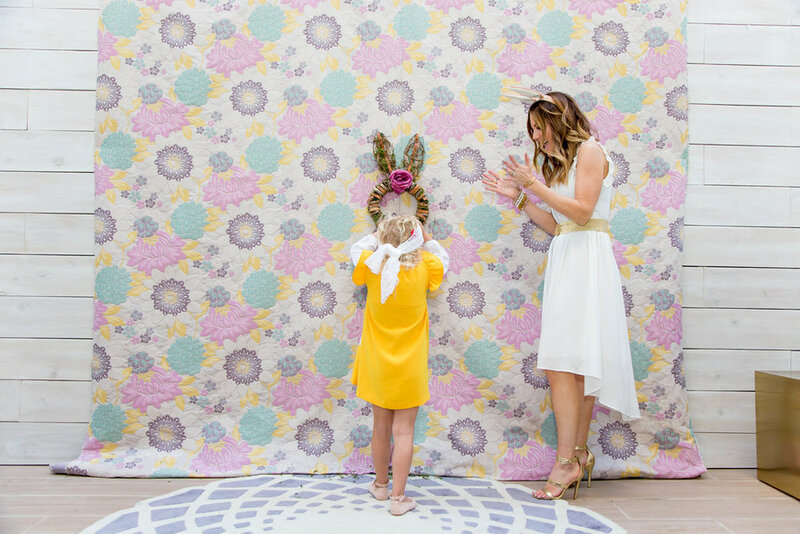 And, for the best photos of the Mom to Bee - don’t forget the Baby Bump Floral Sash and the Mommy to Bee Baby Shower confetti to toss in the air when the photos are being snapped. You will end up with the most memorable photos for the sweet mommy and her baby. 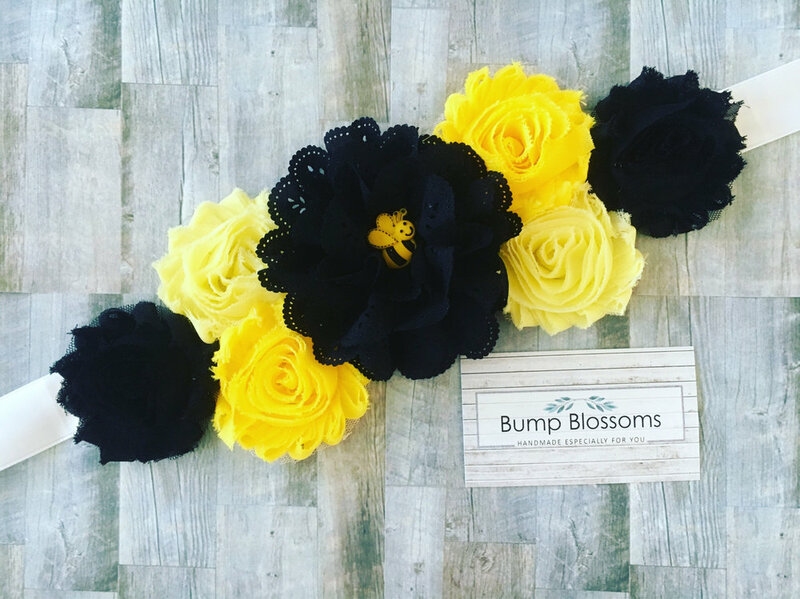 Are you ready to start planning a Bee Theme Baby Shower for someone you know? 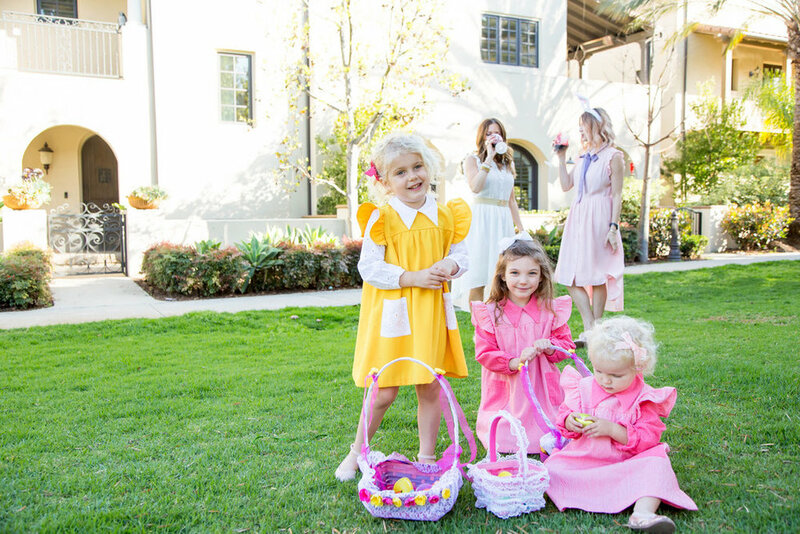 It's now time to gather your bunny ears, fancy drink glasses, Easter baskets and let’s join Pamelyn and Morgan with their kids for a super fun Easter Celebration. 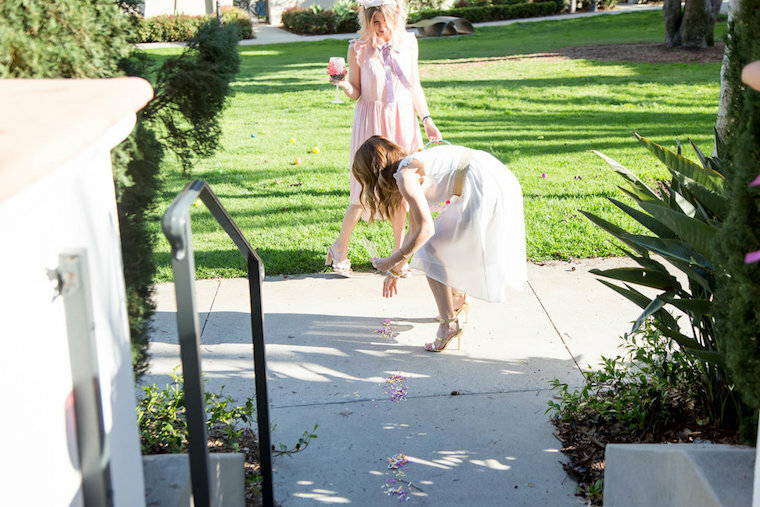 There’s even a Festive Fetti confetti trail that leads to the egg hunt - so much fun. 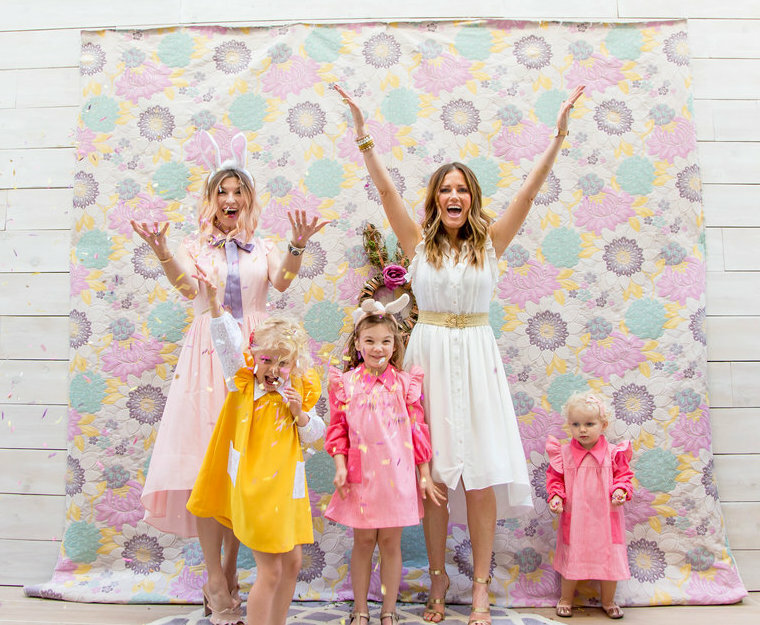 Pretty Dresses worn by the moms are from Shop Buru and the Girls Dresses are from Kasey Blue Kids. Photos by Ographr. 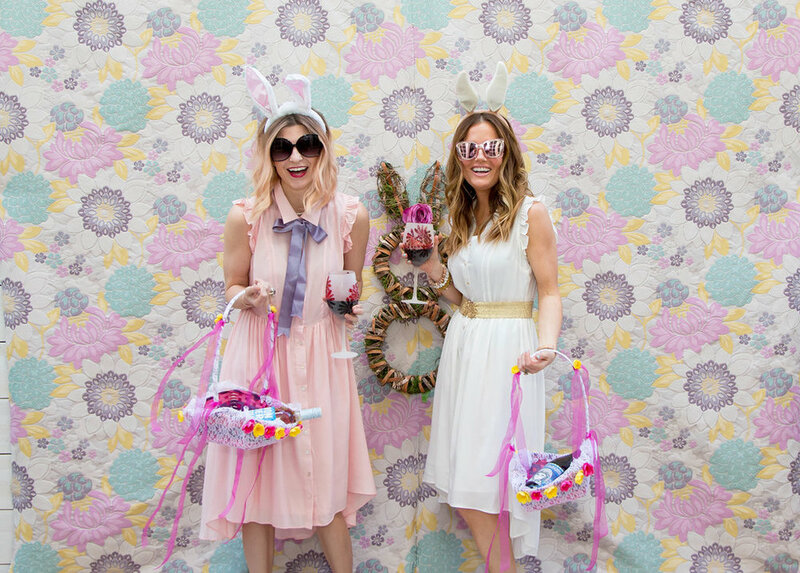 Wasn’t this the most fun way to celebrate Easter? Oh, and lastly - let’s not forget Pamelyn’s phrase . . . “A Mama who always brings the FUN” - I’d say this is 100% spot on, wouldn’t you? 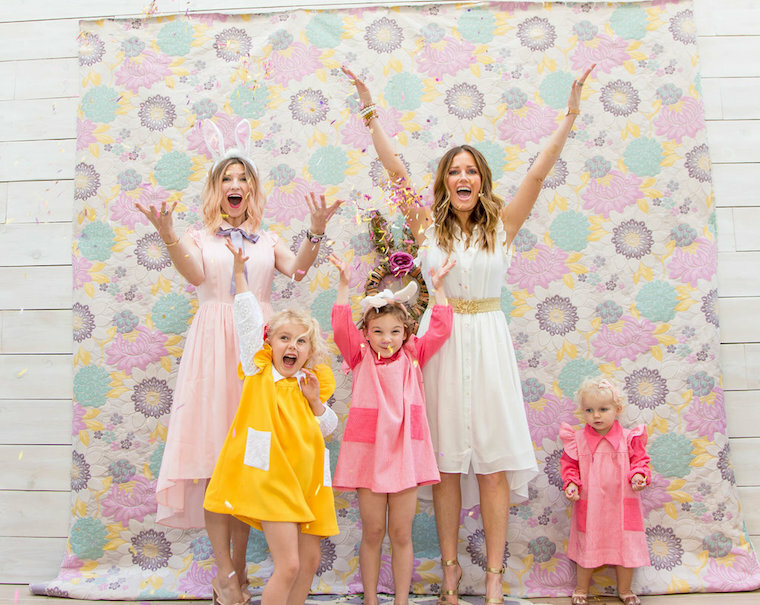 Thank you so much Pamelyn for your super fun party styling - see more from Bashery® . . .
There’s several trends these days when it comes to parties and one of them is the mermaid party theme. Did you know that the Mermaid Birthday Party theme doesn’t have to only be for summer time birthdays? All girls will love celebrating and pretending to be a mermaid for a day anytime of the year. 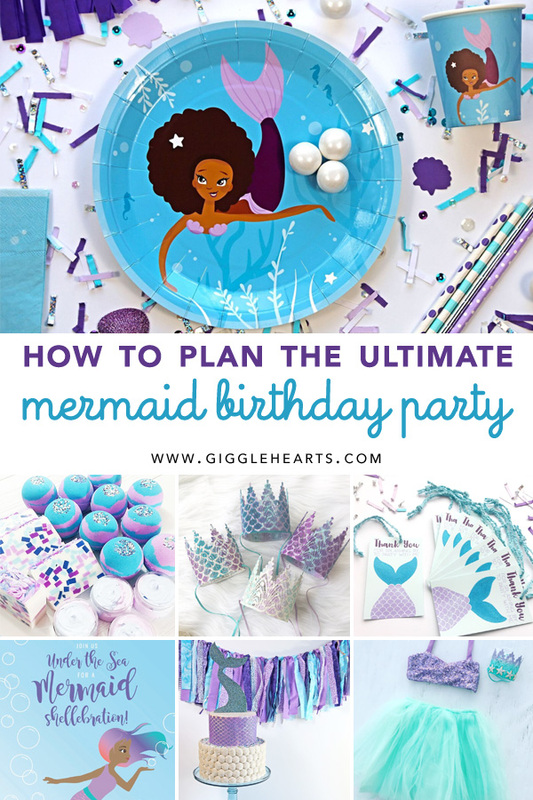 In today's post I have the Ultimate Mermaid Birthday Party planning ideas - from the mermaid outfit for the birthday girl to the amazing mermaid bath set (which I’m sure the mom will enjoy herself after the party planning is complete). 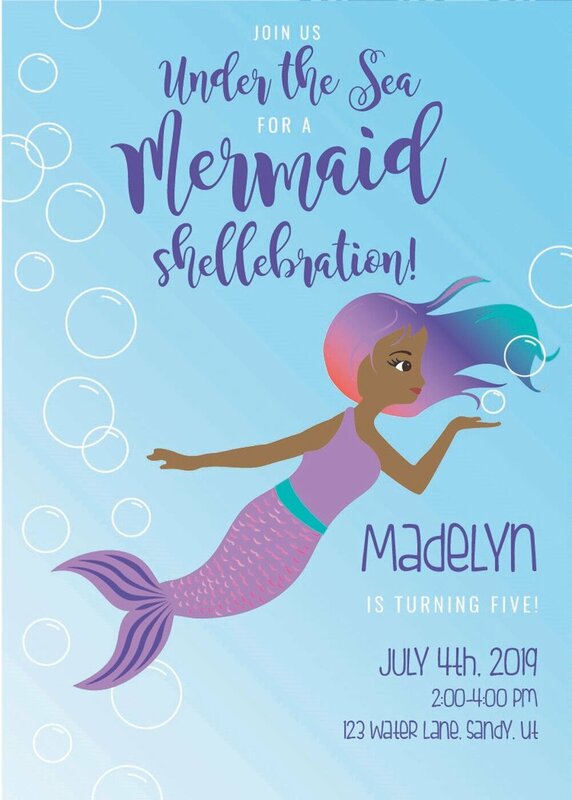 You likely remember me sharing about Craft My Occasion previously and her line of line of mermaid party supplies that she has created for children of color to help them develop a positive and loving self-image. 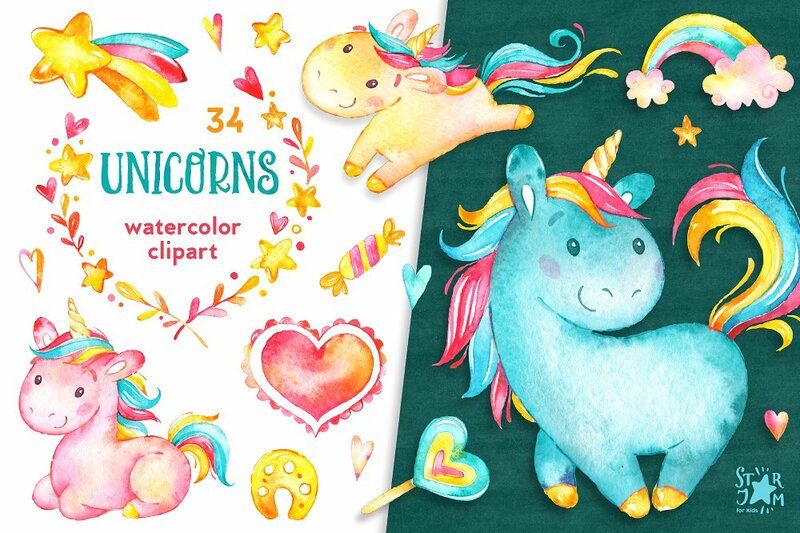 Well, this mermaid party collection is now available and includes everything you will need to throw the best Mermaid Birthday Party Bash. And, of course, the birthday girl would be ecstatic to have her very own Mermaid Party Outfit like this one from Belle Threads. It’s full of shimmer with the sequin top. 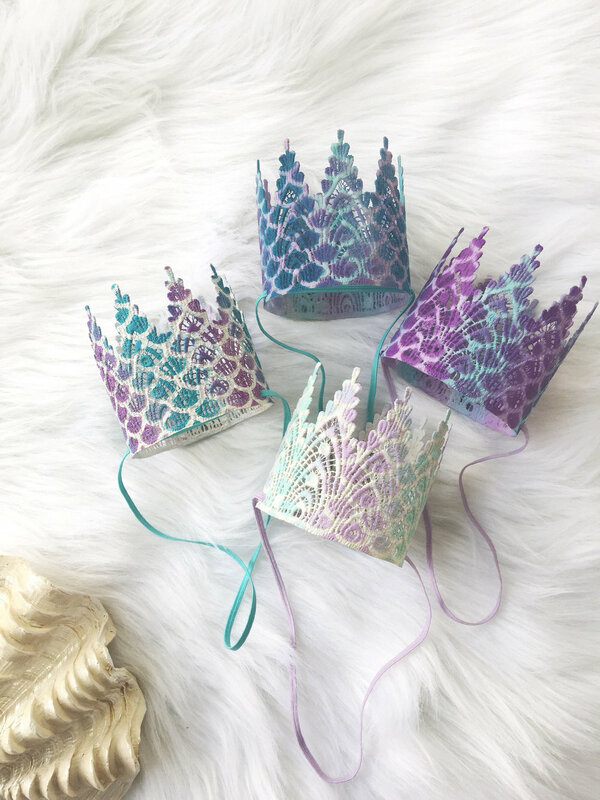 To top off the entire Mermaid Outfit are the prettiest Mermaid Lace Crowns from Love Crush Crowns that are handcrafted + sculpted from lace. When the party is over - it's time to thank your guests for splashing by to party with you. These Mermaid Favor Tags are available in my Festive Fetti etsy shop and feature hand-painting on the fins and scales for extra shimmer and sparkle. They also come with the ribbon to they are ready for adding to the favor bags. But, before the party starts you will want to invite the party guests over for a Mermaid Birthday Party "Shellebration". Bri of Half Pint Design has created this printable mermaid themed invitation as an instant download. 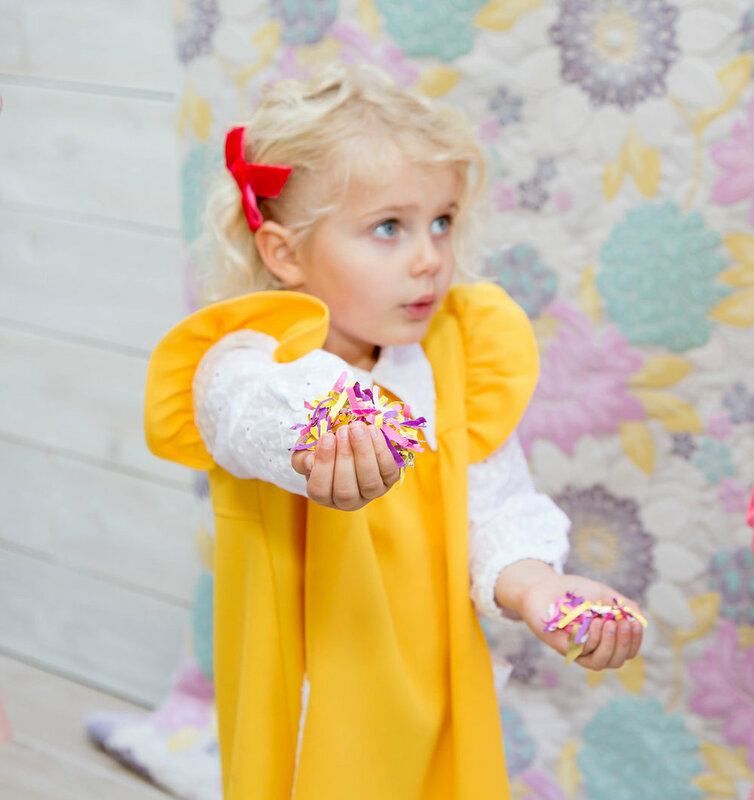 Having the perfect backdrop behind the dessert table or your Mermaid Cake is easy with this pretty Mermaid Inspired Fabric Garland from Giggle Living. There’s even sequins and pearls in between the fabric. 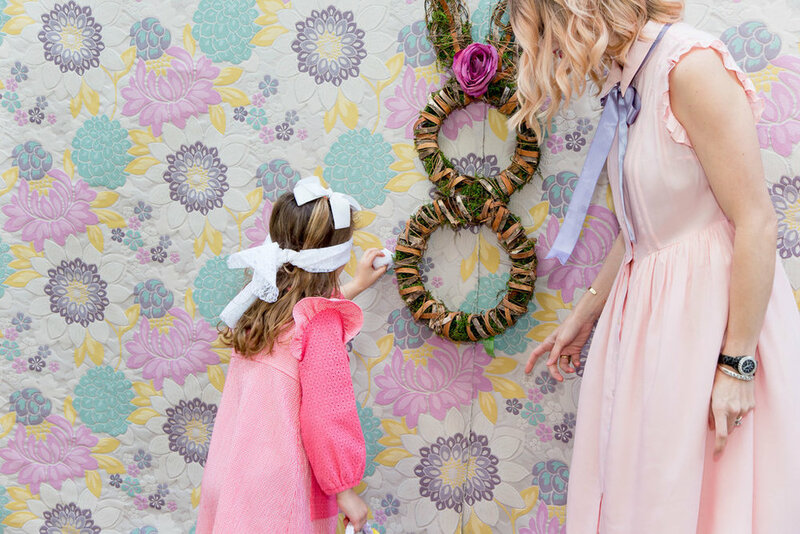 Then, after the party, this garland can be used as a decoration on the wall in the birthday girls bedroom. After all the party planning and celebrating the day of the party, the mom herself will need a little pampering of her own. 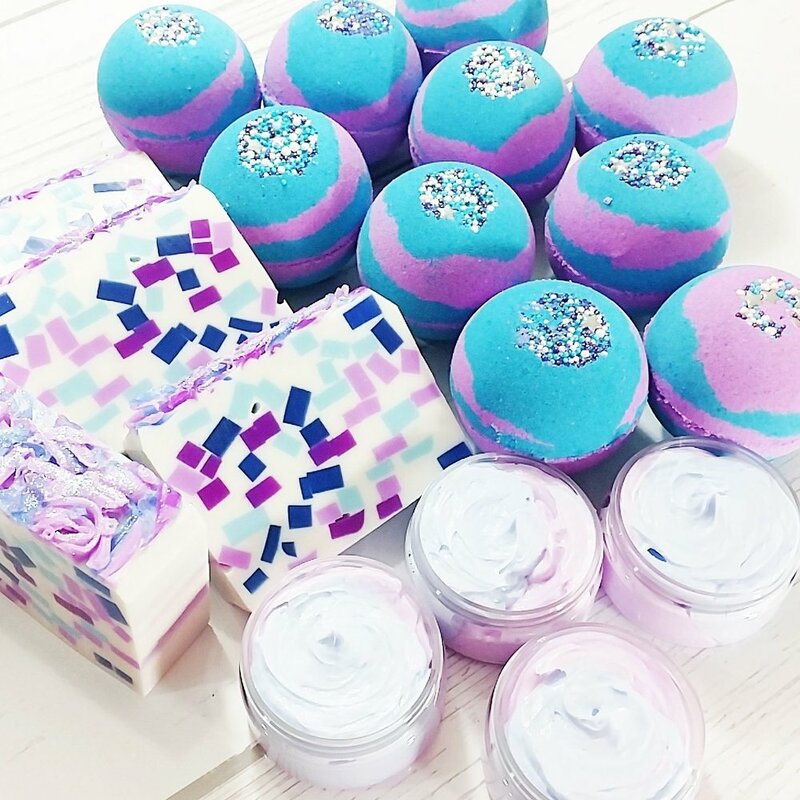 So this amazing Mermaid Bath Set from Sunbasil Soap with soaps, bath bombs and scrub is just what she will need. 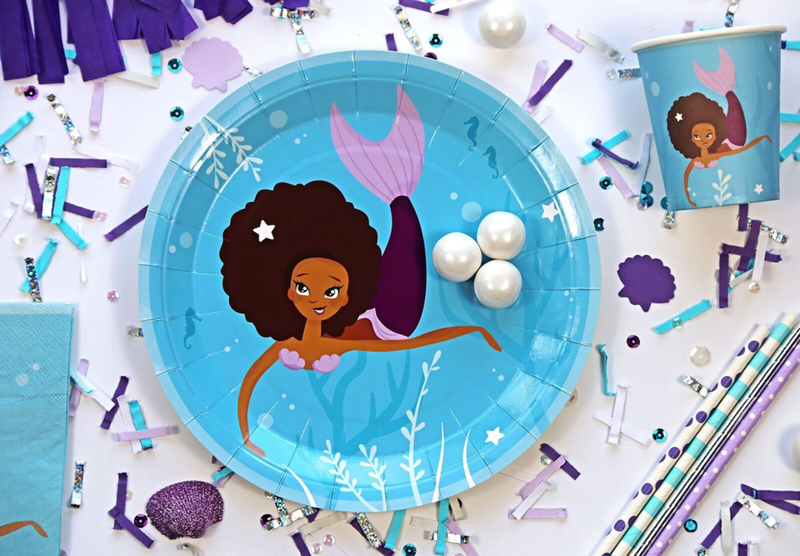 Now, the only thing left to get your Mermaid Birthday Party underway is to get your guest list together and plan on a splashing success with your Mermaid Party prep. Welcome to the Virtual Baby Shower celebrating the upcoming arrival of a sweet little girl for Laura of Make Life Lovely. 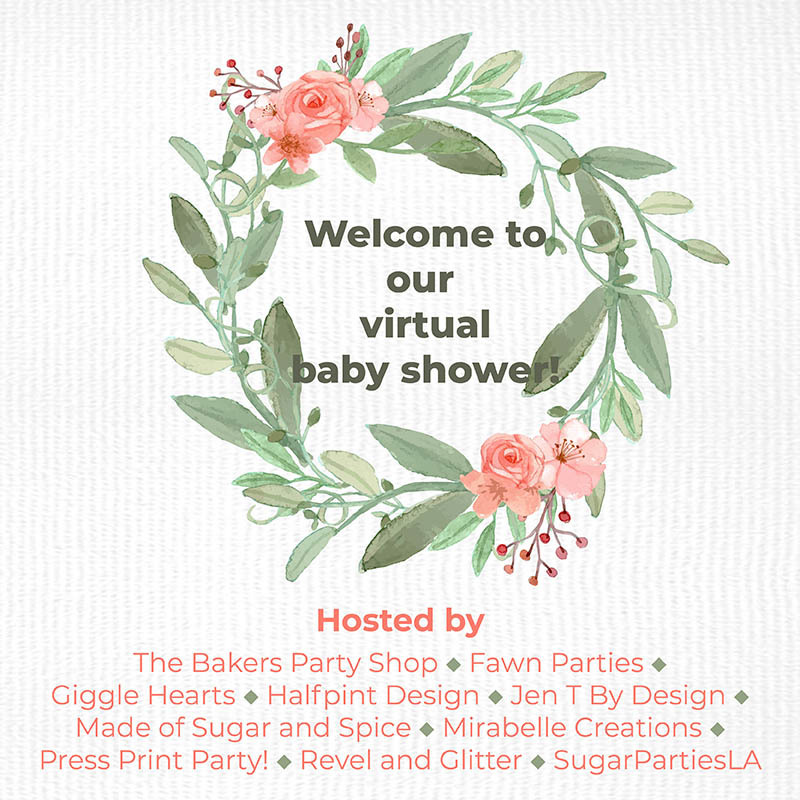 And, I want to say a big hello to those that are coming over from Annaliese's DIY on Creating a Lollipop Onesie Bouquet on Made of Sugar and Spice - the previous stop in the virtual baby shower celebration. For my congratulations to Laura - I like to say "Oh Deer, She's Almost Here" with a cute and easy Oh Deer Baby Shower Party Favor DIY. Are you ready? Let's gather our short list of supplies and start creating a Confetti Globe that your party guests will love. Simply hot glue in the deer and bottlebrush tree to the inside base of the glass jar. 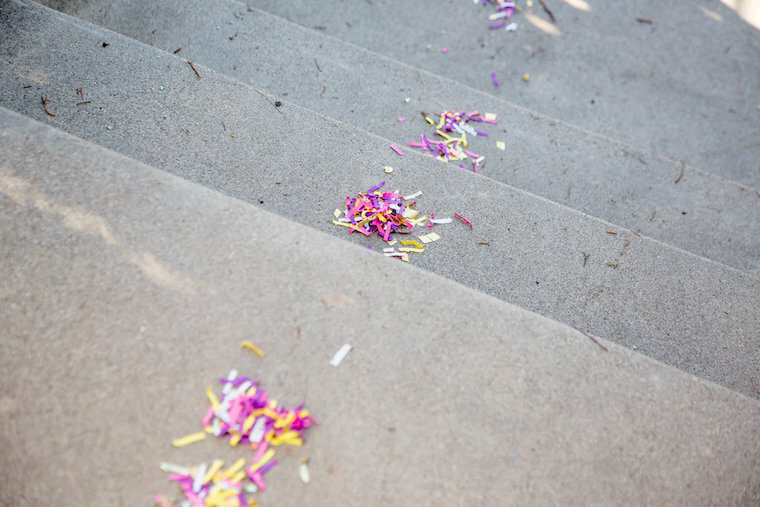 Then sprinkle in some confetti (this is my pink ombre confetti mix which is perfect for girl baby showers). The deer labels are available in my shop and I added adhesive to the back side and it fit perfectly atop the jar lid. Wouldn't these confetti globes look super sweet set out at each place setting for the guests? 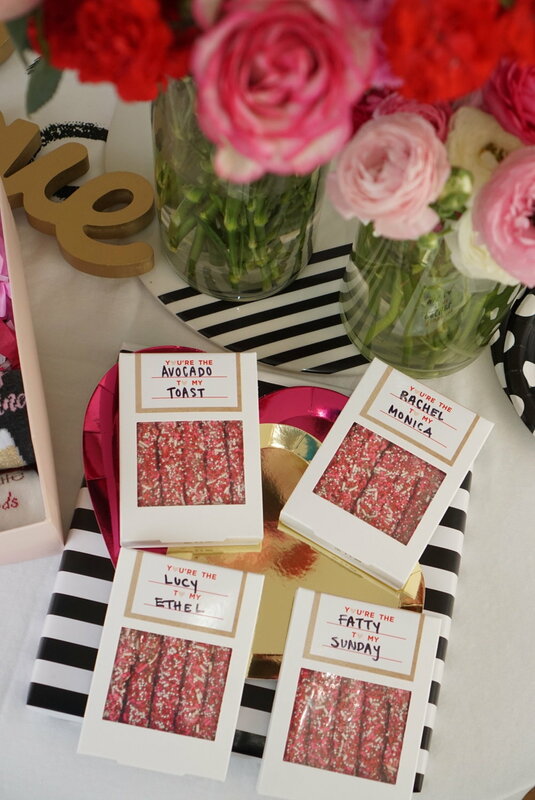 Wasn't that a fun and easy DIY for a baby shower party favor? The sweet little deer with her pearl necklace makes me smile. Please join me in the comments to leave Laura some happy baby wishes and then head on over to the next stop on the Virtual Baby Shower. The next stop in the Virtual Baby Shower is with Bri of Half Pint Design who is sharing a super cute baby milestone blanket for your monthly photo backdrops. 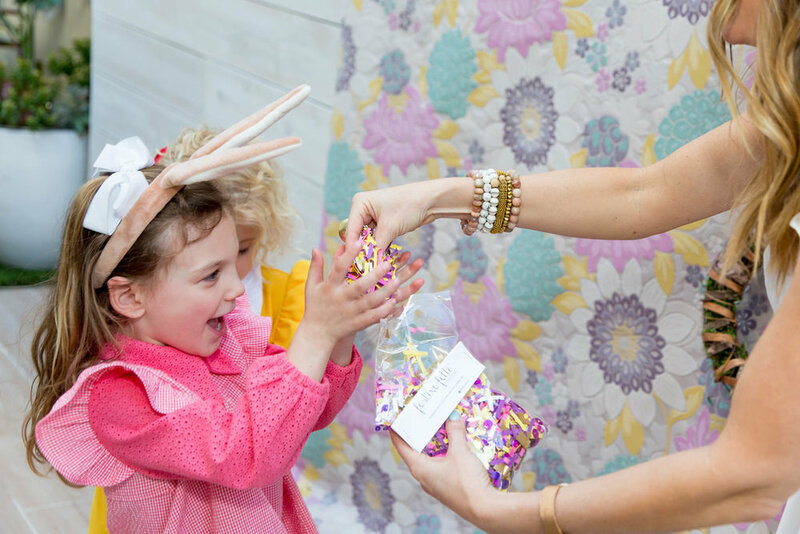 You can see links to all the Baby Shower hosts below for lots of amazing party ideas and crafty inspiration. 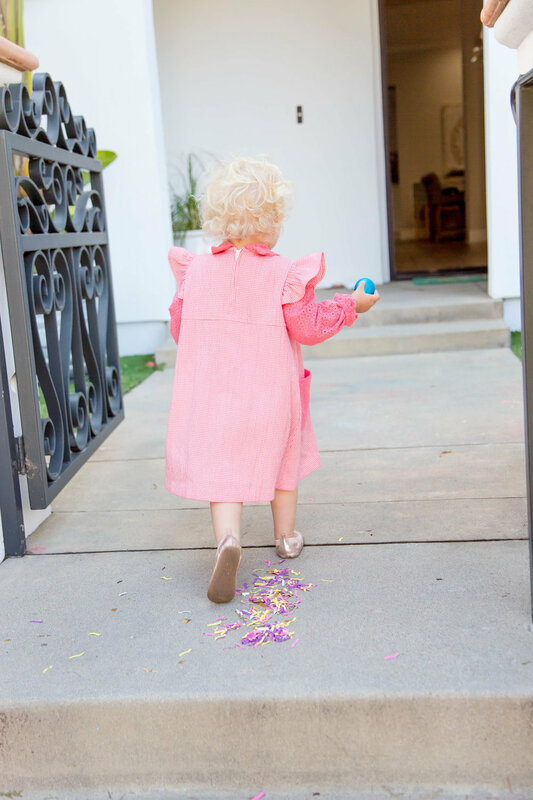 Sequins are everywhere these days and my girls (myself included) can’t get enough of them. 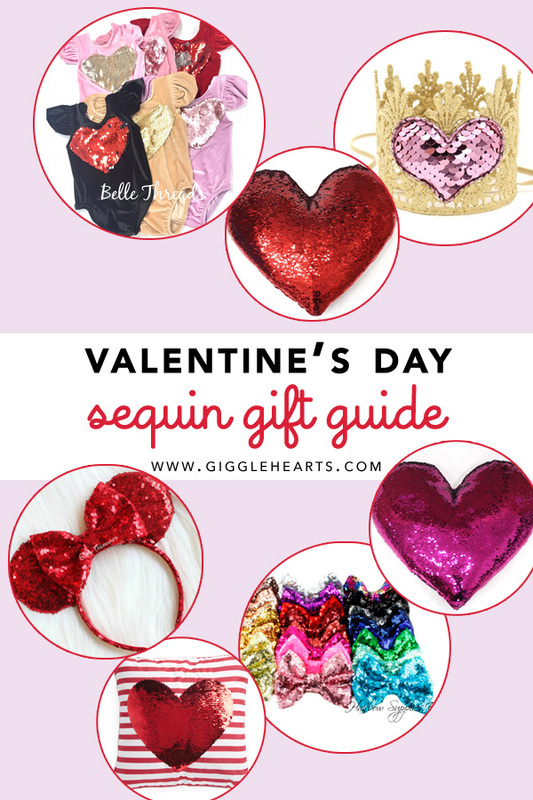 With Valentine’s Day approaching, I’ve put together a Valentine’s Day Sequin Gift Guide so you can easily find the prettiest and most unique items with sequins on them. These Velvet Leotards with Sequin Hearts from Belle Threads Boutique with their reversible sequin hearts are the prettiest choice for Valentine's Day photos of your girl(s). 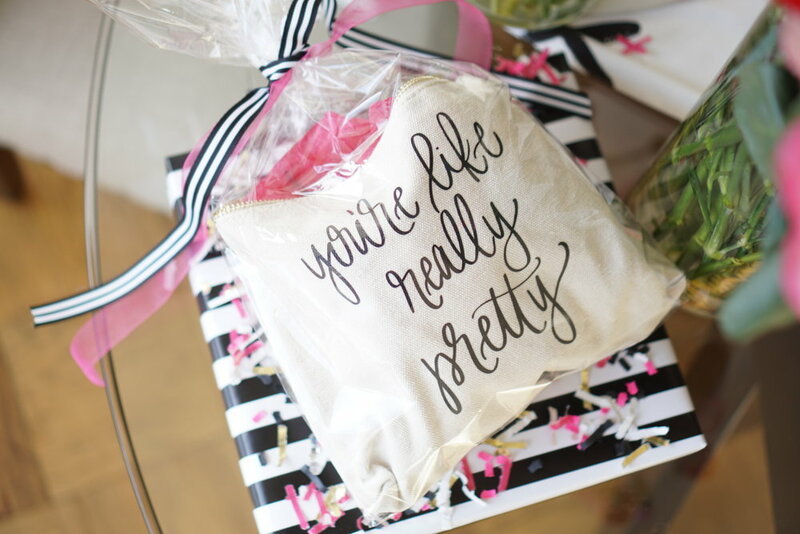 And, when paired with a tulle skirt from Belle Threads, you have the best Valentine's Day Girl Outfit. And, lastly - this may not have sequins but they are glittered hearts and doesn’t this bowl of sparkly love just look amazing? Imagine how pretty your vases, candlescapes and floral arrangements will look this Valentine’s Day with all this pretty red sparkle added.